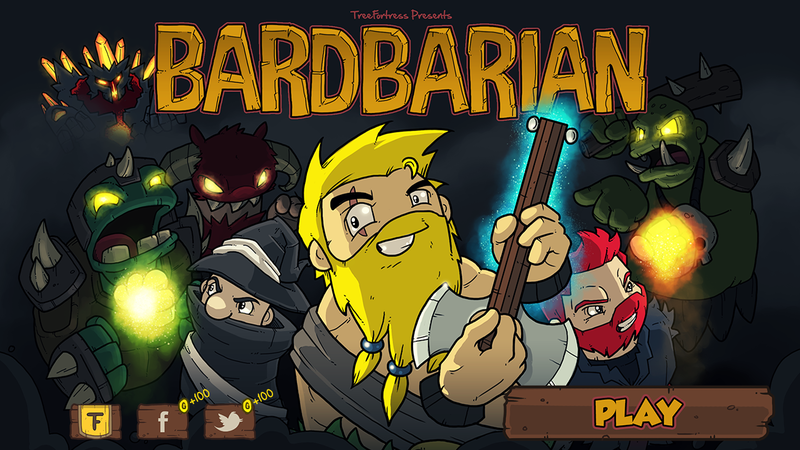 Bardbarian is a fun little game that dips into fingers into many genres of gaming for a nice mixture. Featuring elements of RPG. bullet hell, and tower defense we get a near perfect mixture. The gameplay is to protect your gem from waves of enemies. Your character doesn’t do the attacking however, he has a magic guitar he plays and has the ability to summon an army of characters to fight his battles for him and follow his every footstep. He also has the ability to cast spells like protect him, make him army stronger or speed him up as well. With a wide cast of unlockable characters it does add replay value trying to create the best lineup you can to progress forward in the game. It’s a simple game to play and will only take a few minutes to learn all there is you need to know. The graphics are catoonish and fit perfectly and the music does a fine job as well with what is going on. Control wise it’s smooth and I never had any issues during game play with it. You can breeze through the game in a few hours but thankfully the replay value does make you want to come back for some quick sessions here or there. For having one map and a very simple premise Bardbarian turned out to be a fun small game to kill time on. I recommend it to most fans of any genre the game lends itself to.